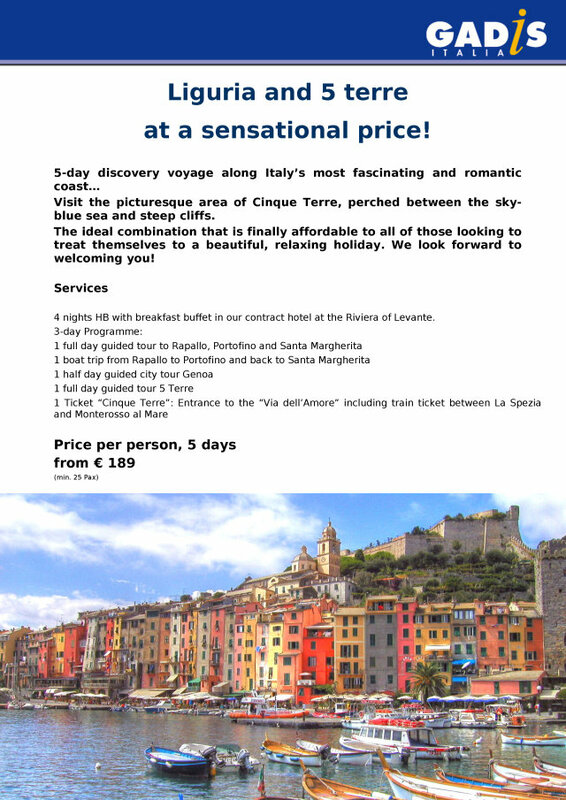 This is the list of our newest travel programmes and offers you just can't miss! 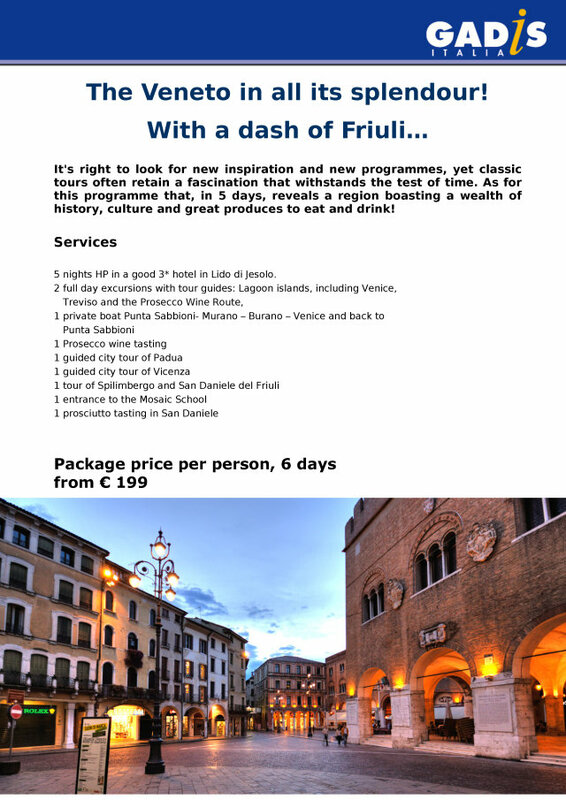 These offers are at the heart of our newsletter, which you can receive by clicking here. 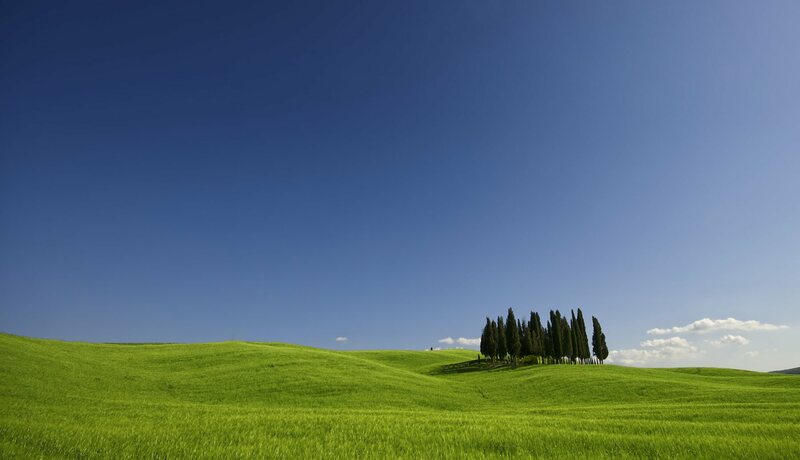 Clicking on the images will open the relative PDF file in a new window. 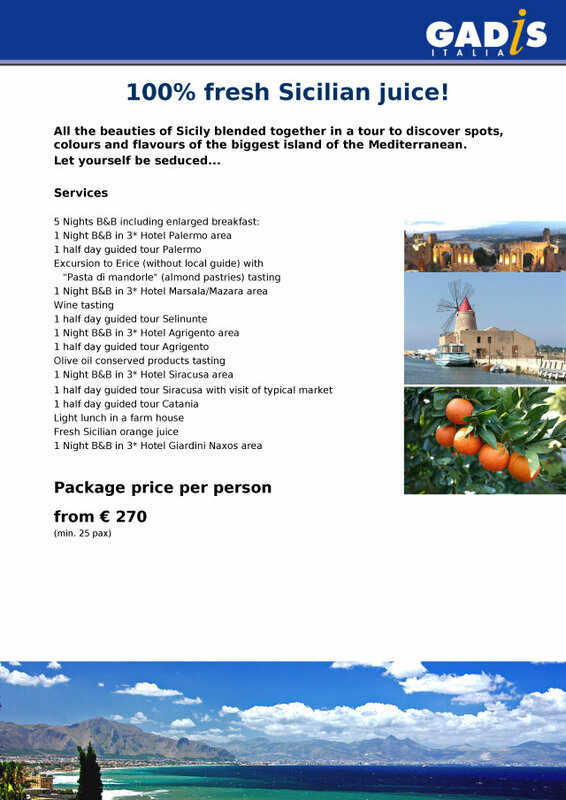 You can also right-click the images and save the destination pdf file on your device. 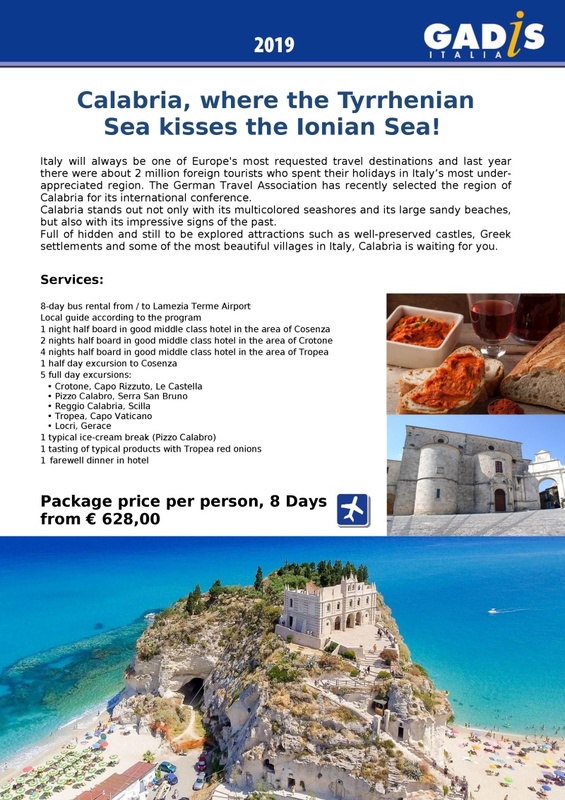 Sea kisses the Ionian Sea! 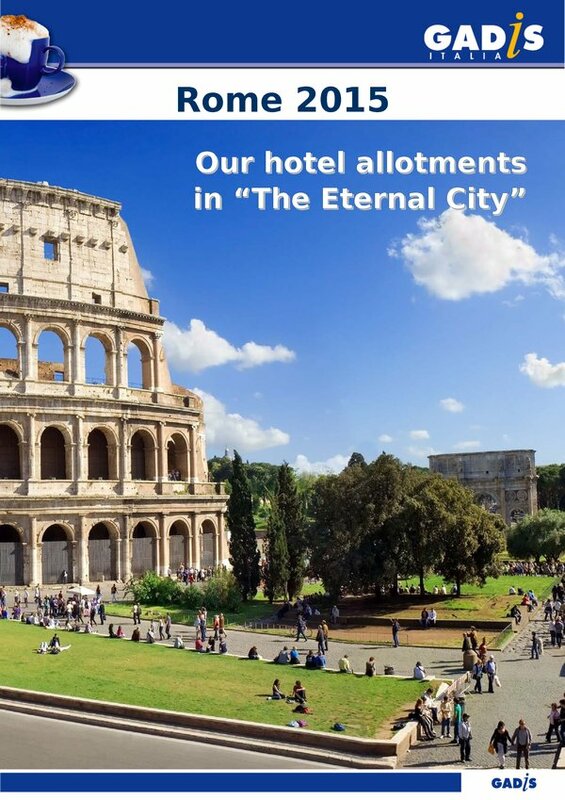 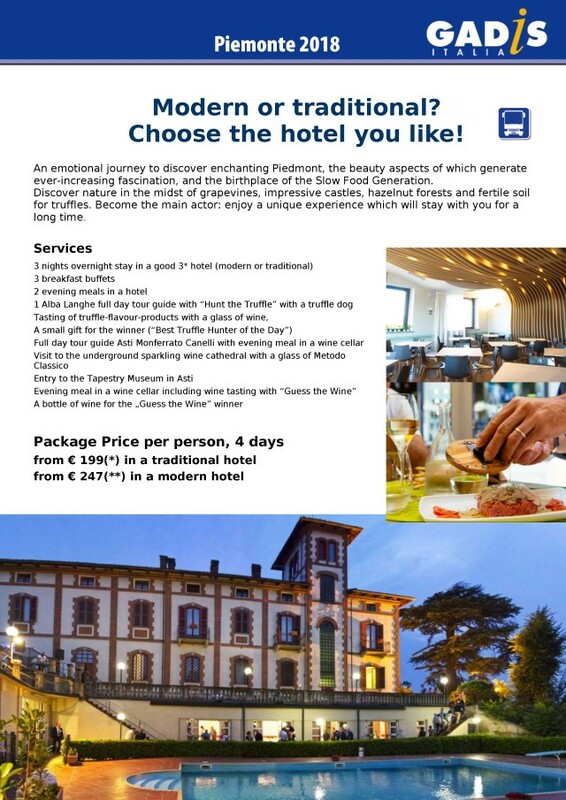 Choose the hotel you like! 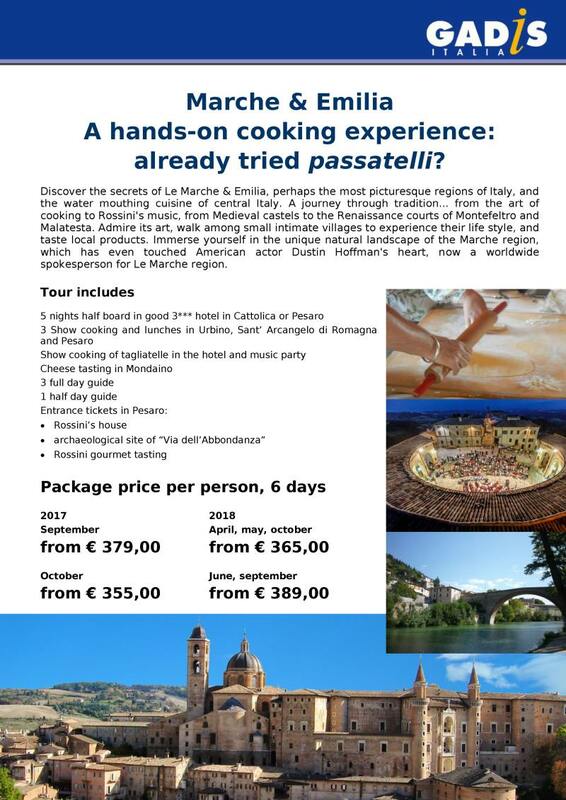 Marche & Emilia A hands-on cooking experience: already tried passatelli? 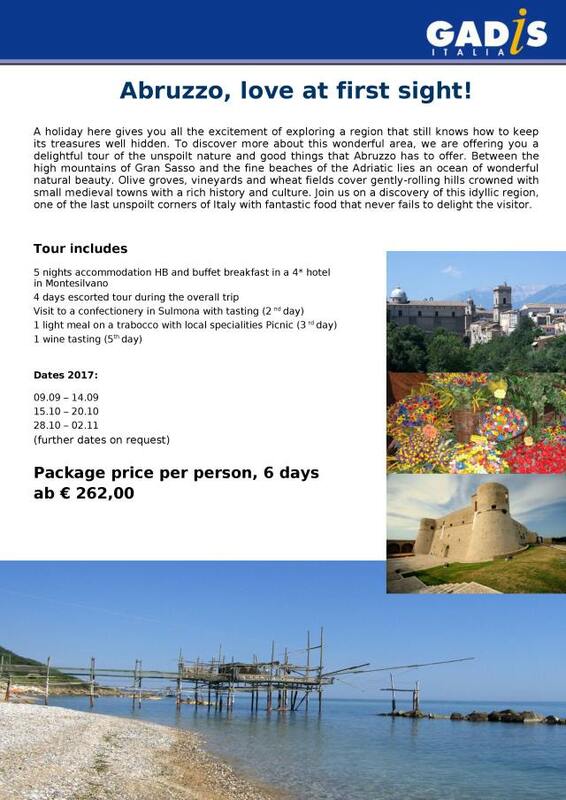 Abruzzo, love at first sight! 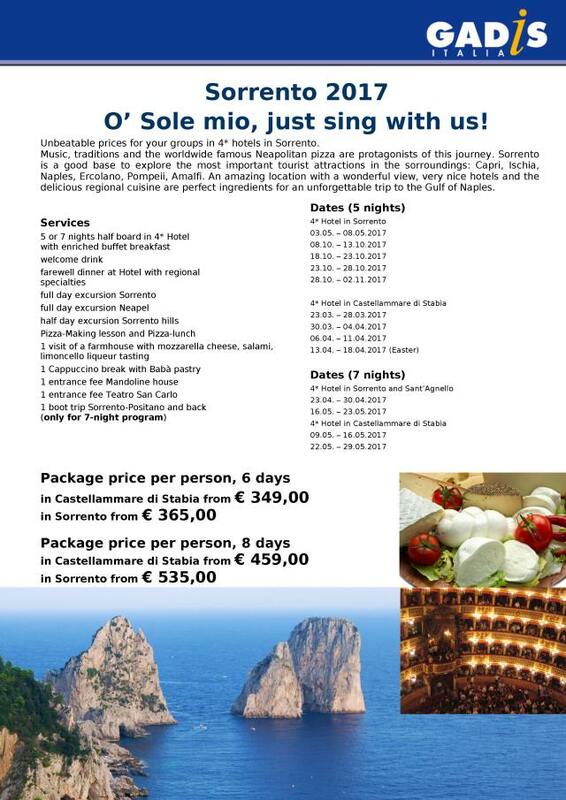 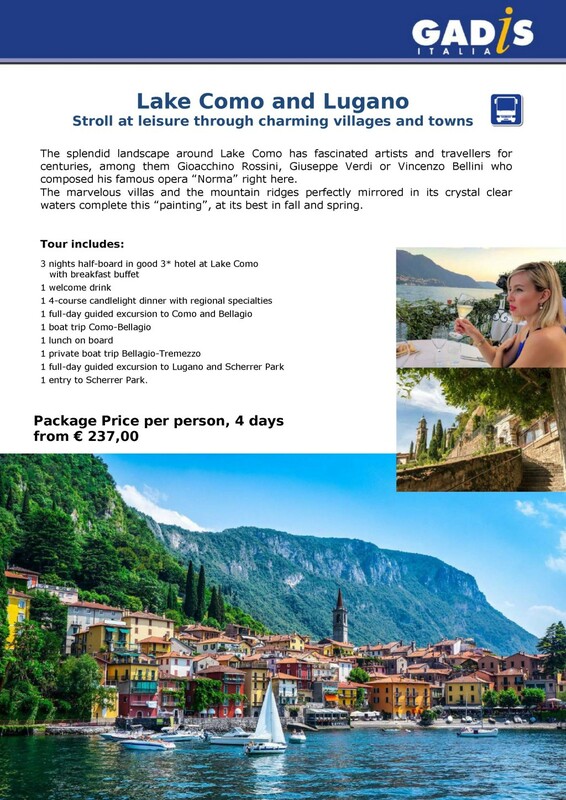 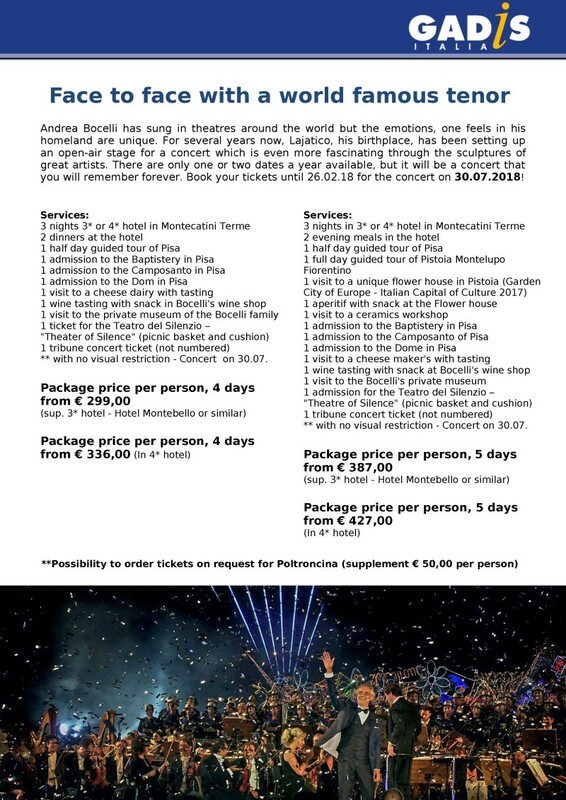 Sorrento 2017 O� Sole mio, just sing with us! 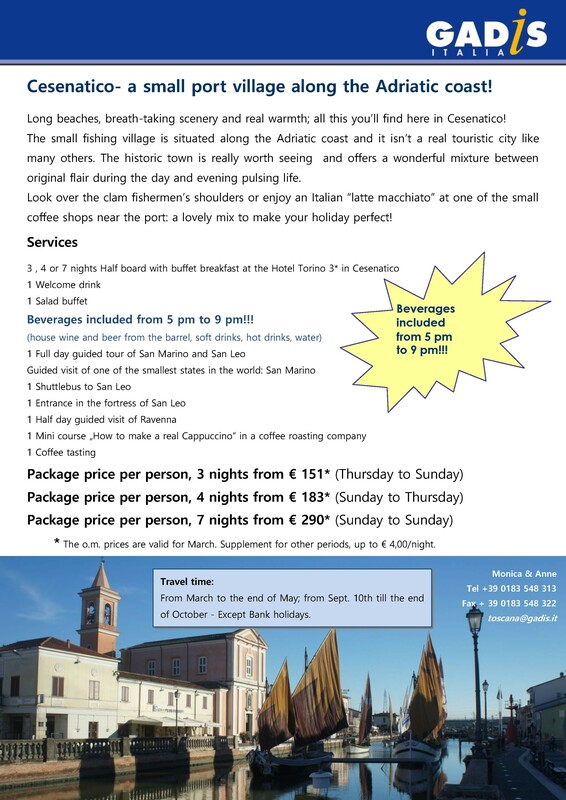 Cesenatico- a small port village along the Adriatic coast! 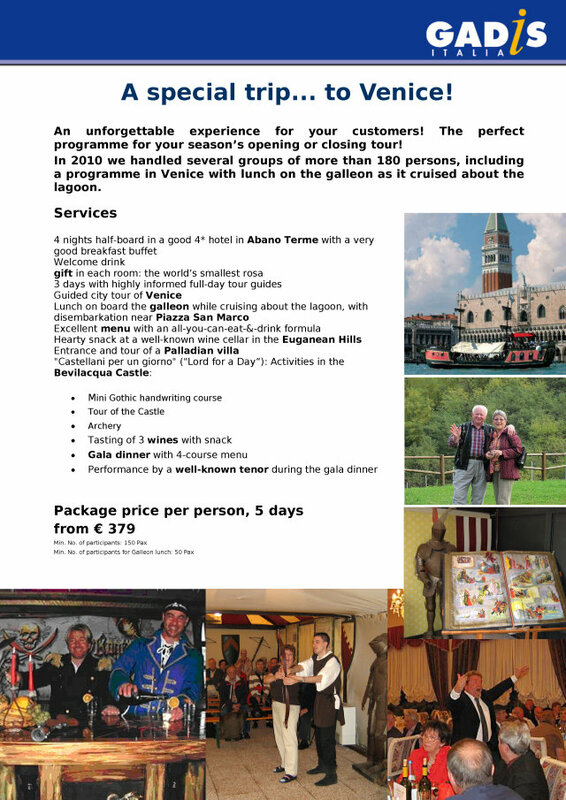 A special trip... to Venice! 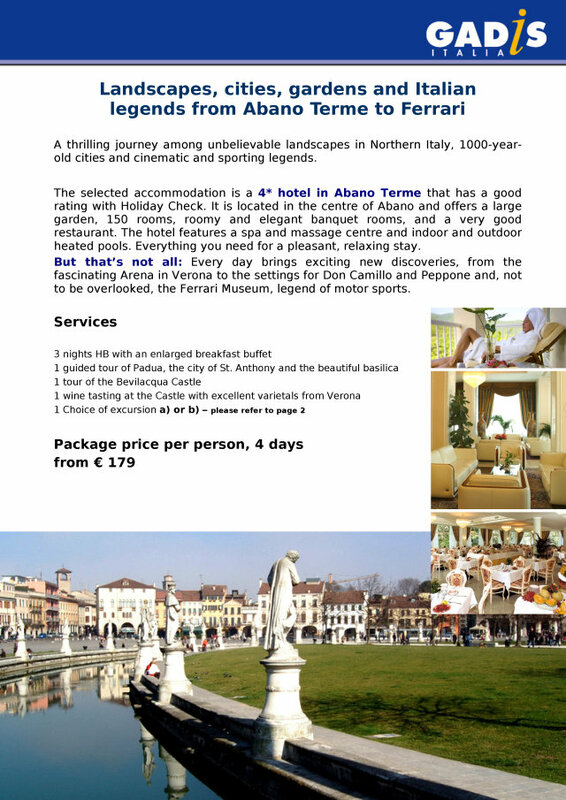 The Veneto in all its splendour! 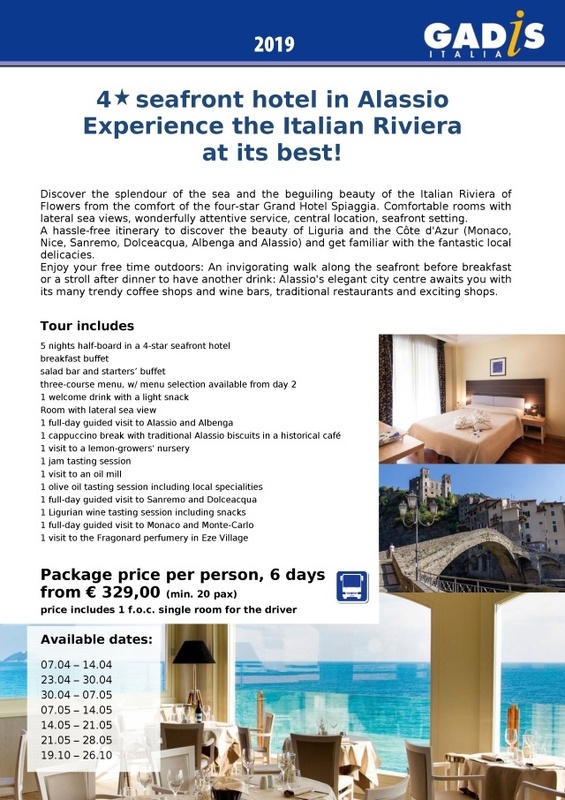 Italian legends from Abano Terme to Ferrari. 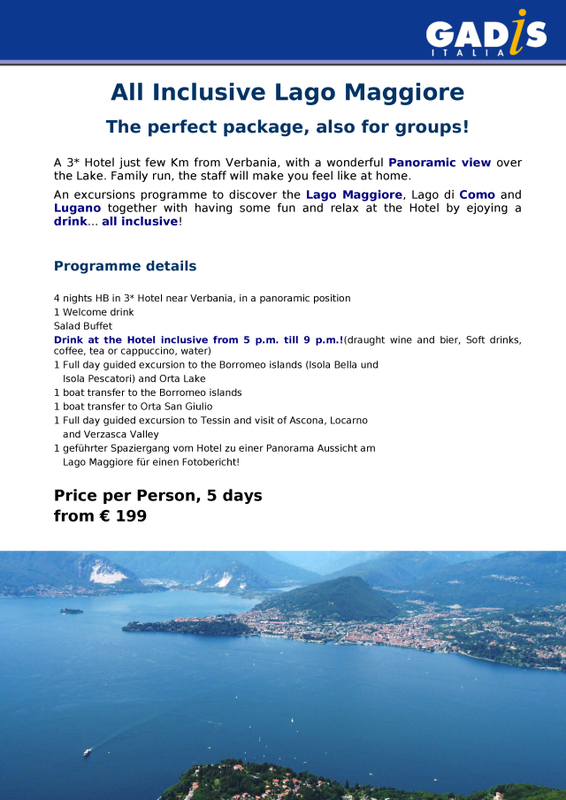 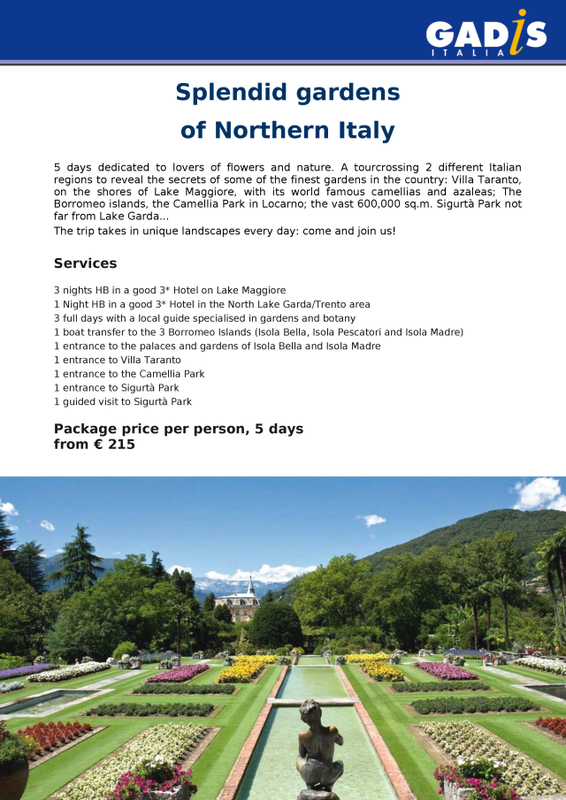 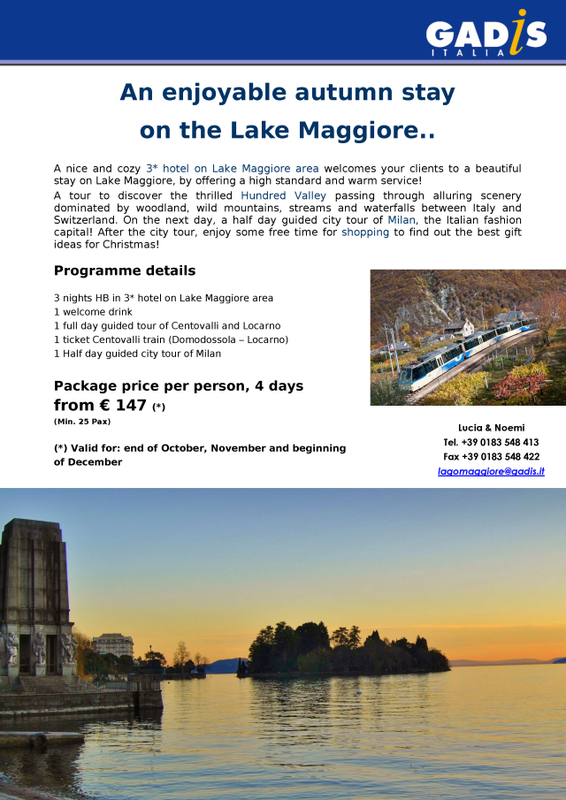 A stay at the Lake Maggiore, in time for Xmas Shopping! 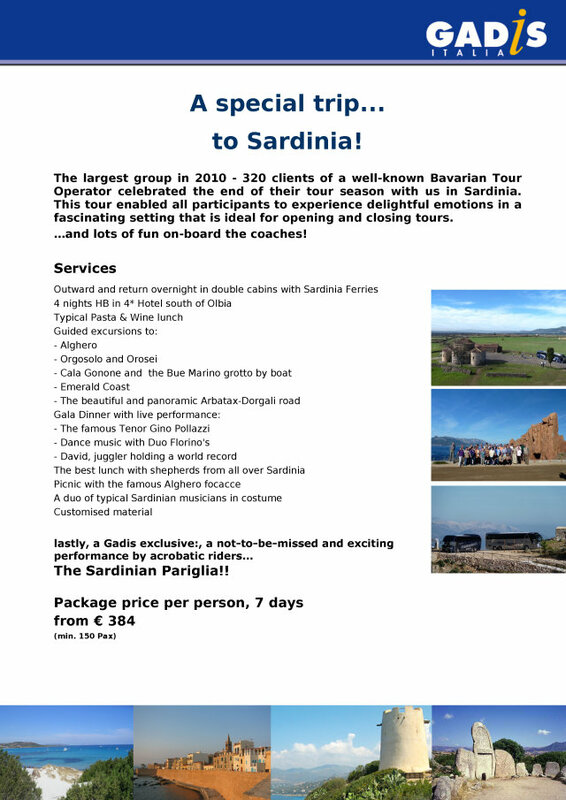 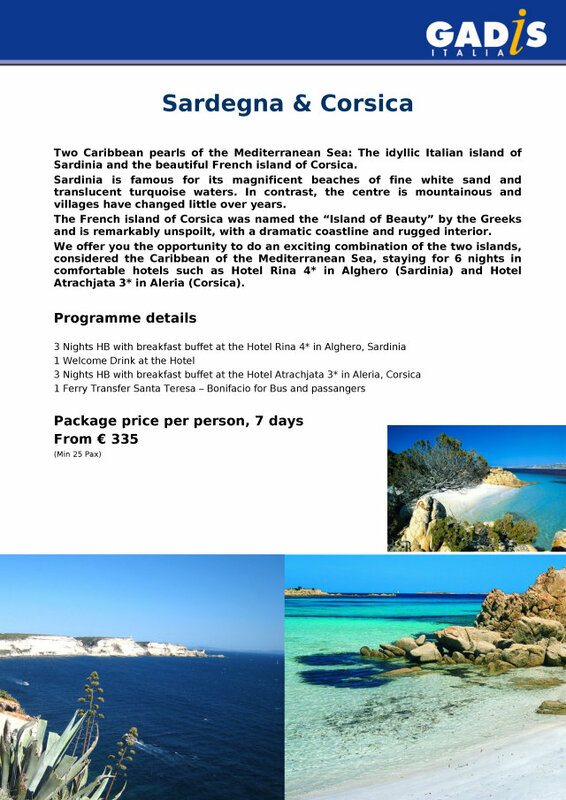 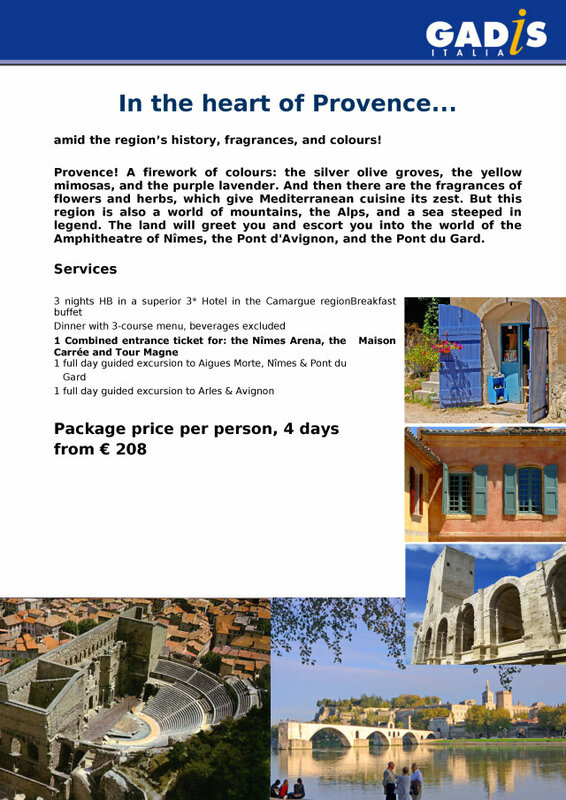 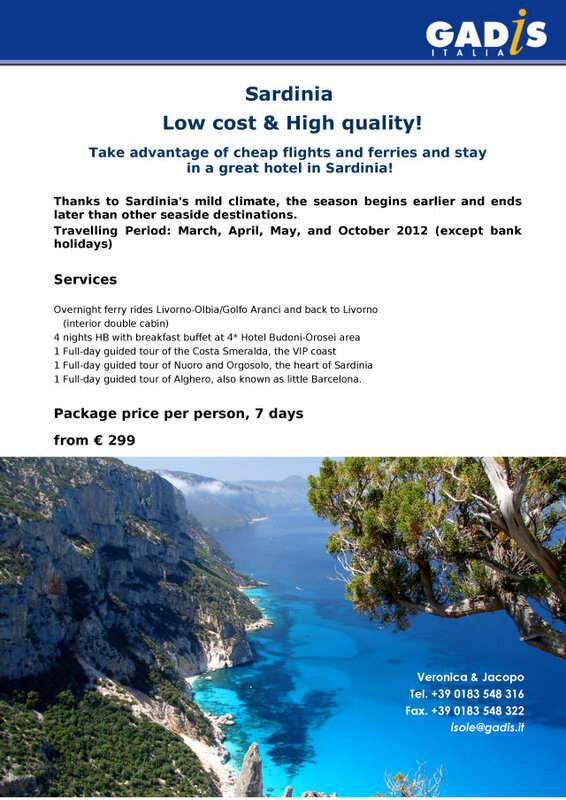 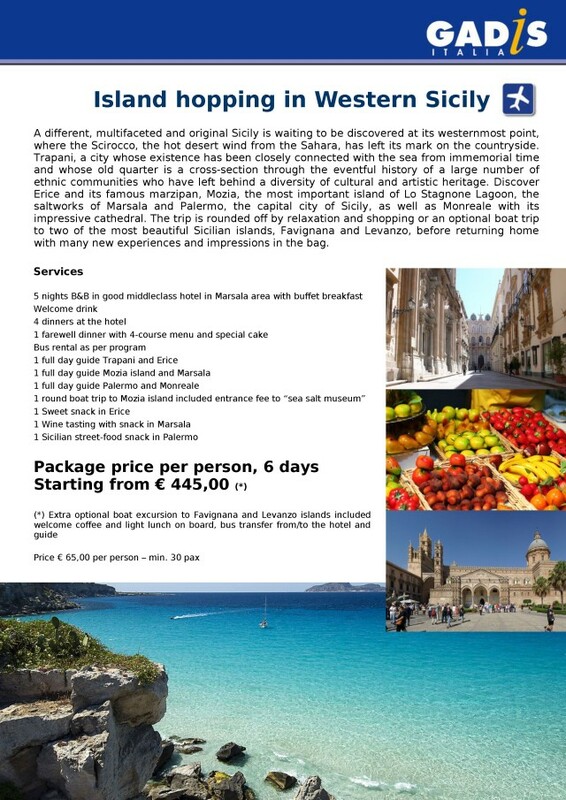 Sardinia Low cost & High quality! 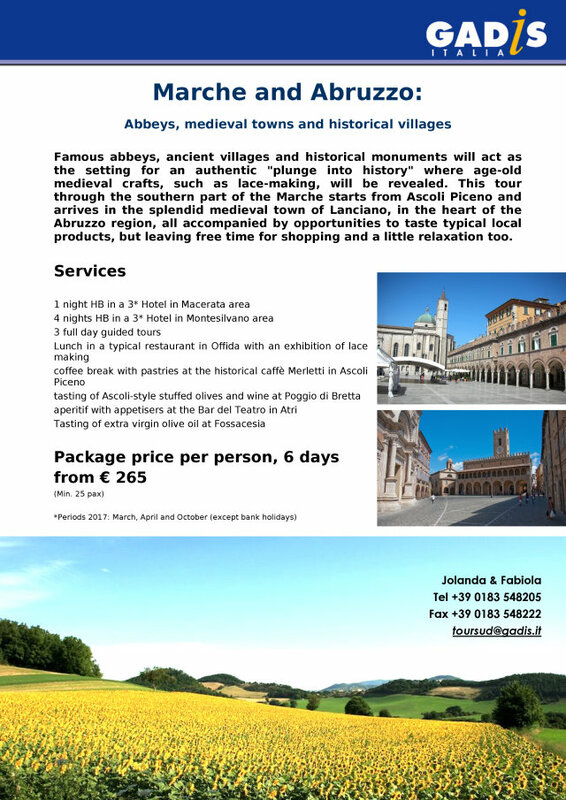 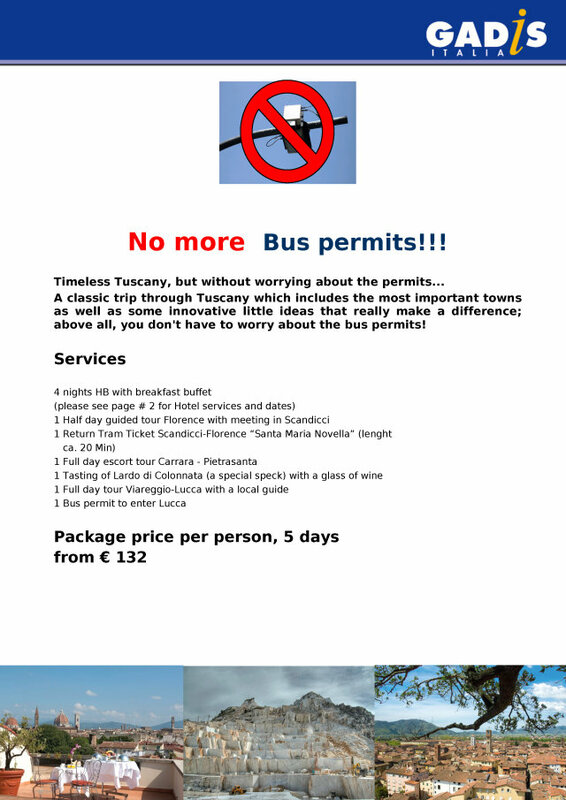 Tuscany - without Bus permits!!! 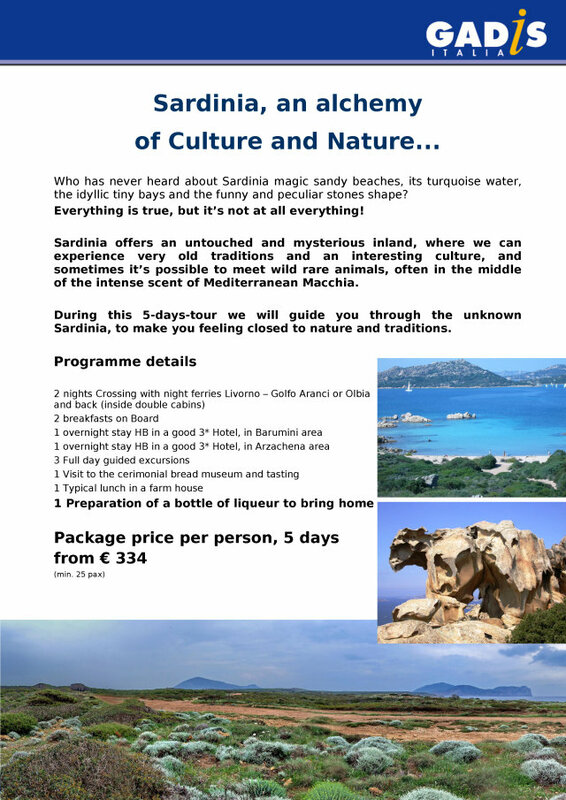 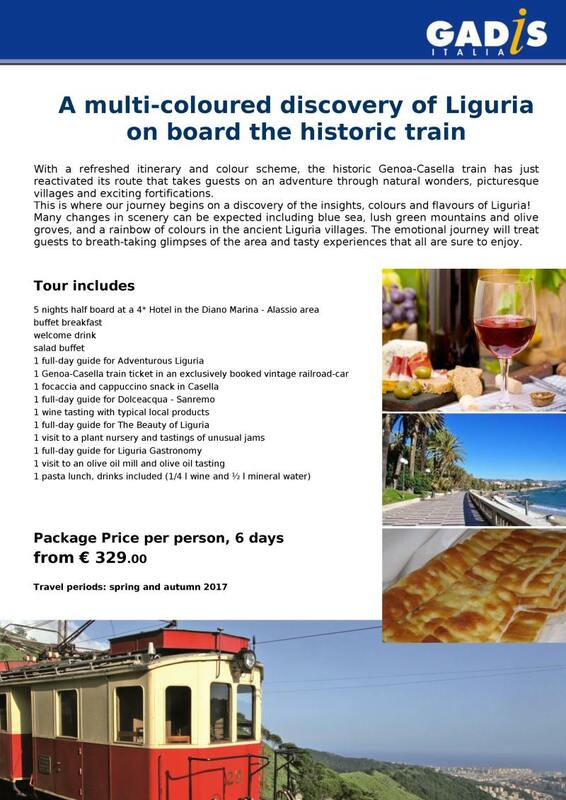 Click HERE to see the list of our old travel programmes. 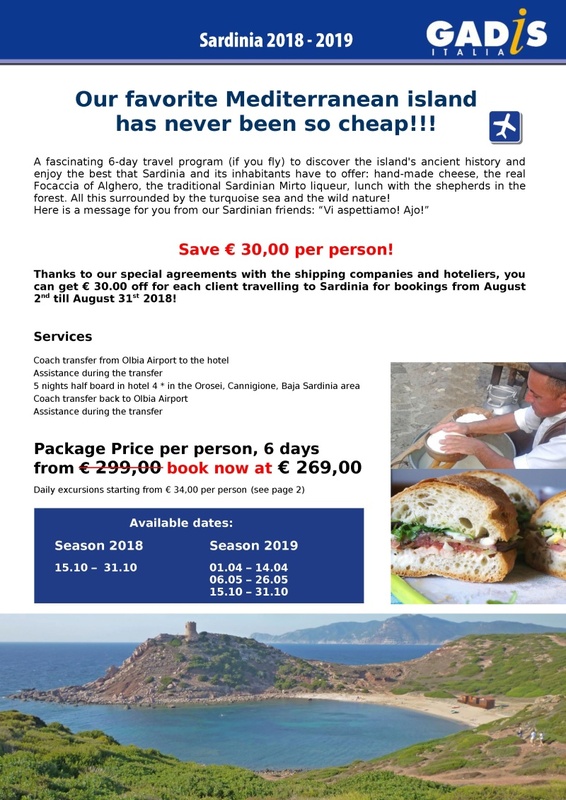 These older offers give you insight in our long history of quality and creativity. 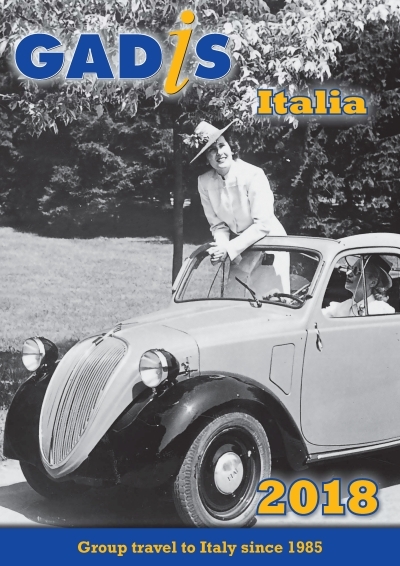 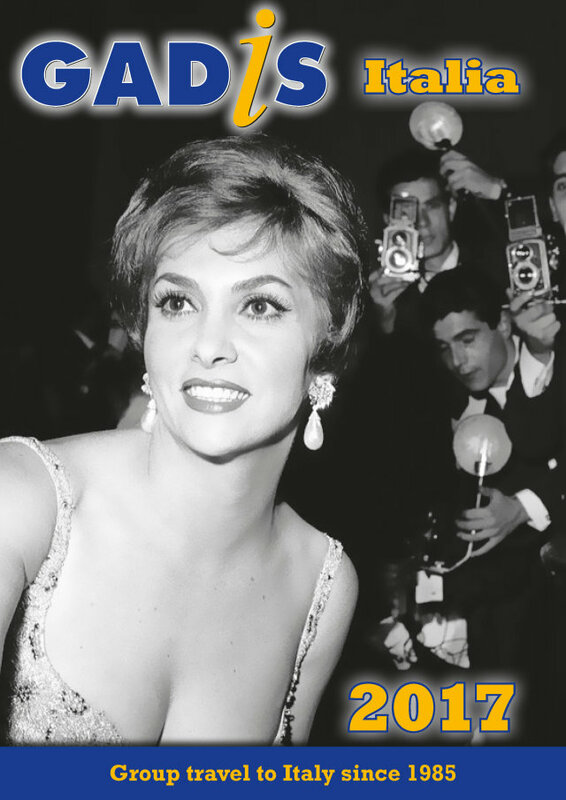 Feel free to download the files and take inspiration from our history! 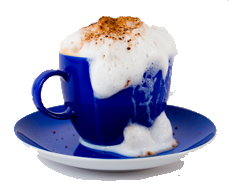 Would you like a nice Espresso? 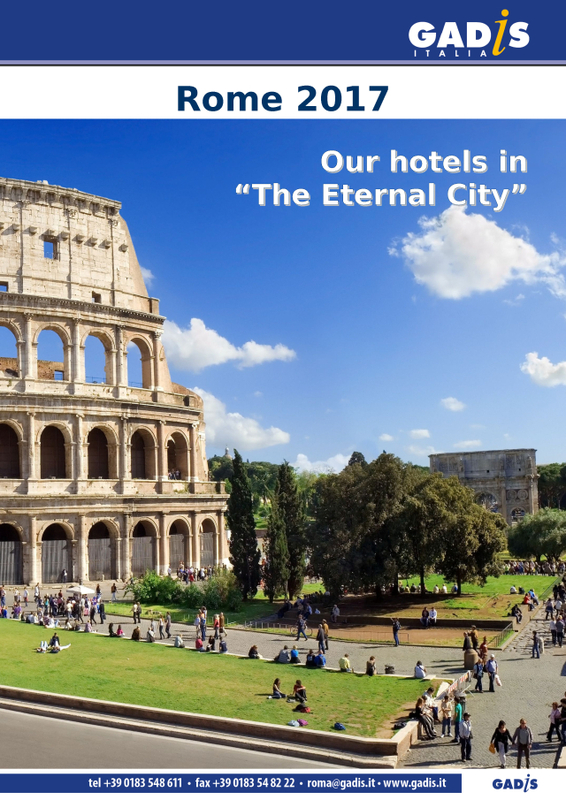 Please do come to visit us at our offices during one of your next trips to Italy. 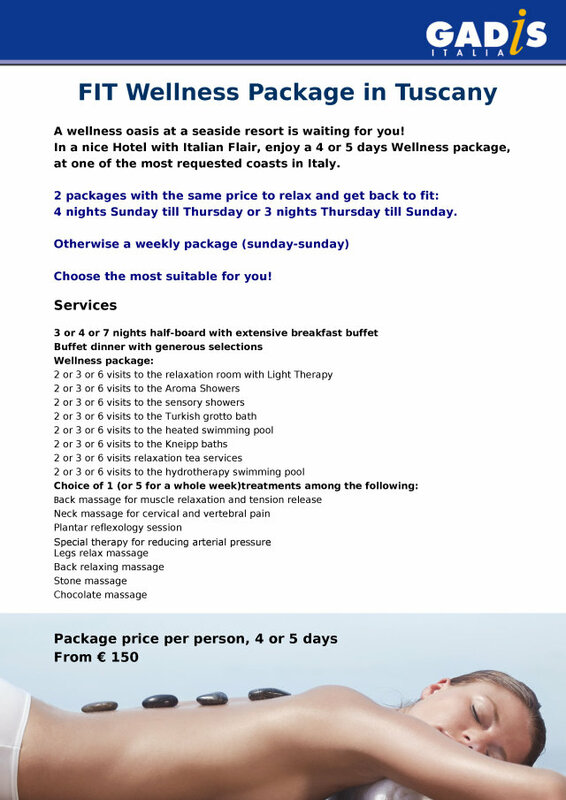 Fix an appointment and let's meet! 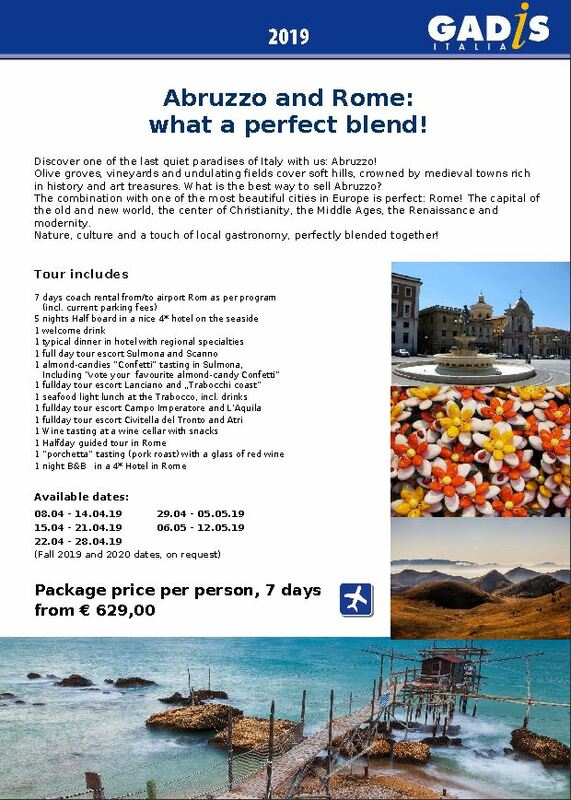 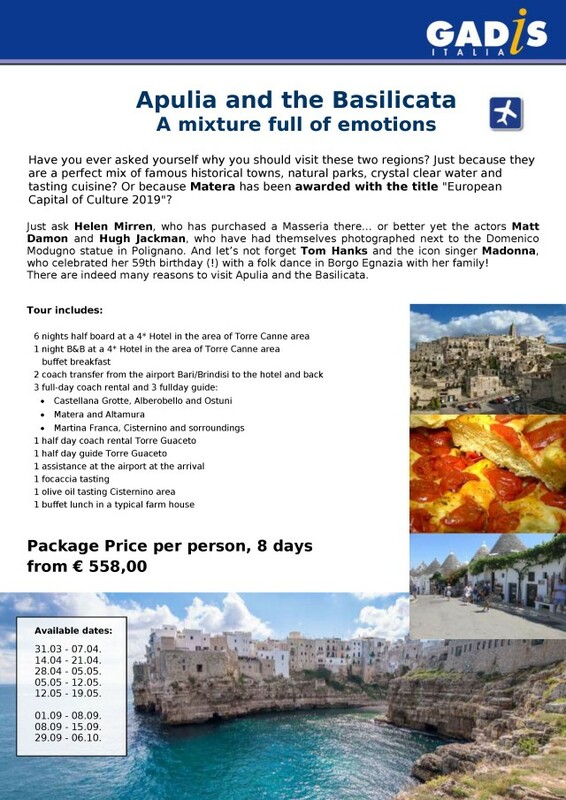 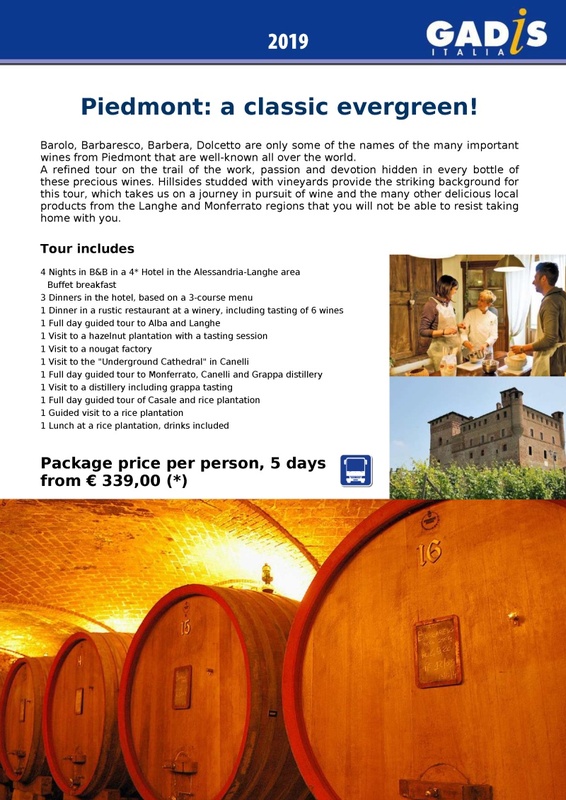 Look at Italy with different eyes... take advantage of our working "on spot" experience!